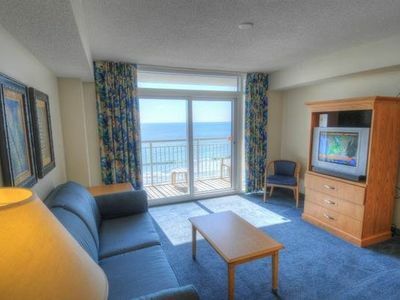 Your memorable and fun Myrtle Beach vacation starts at the Holiday Inn Pavilion! 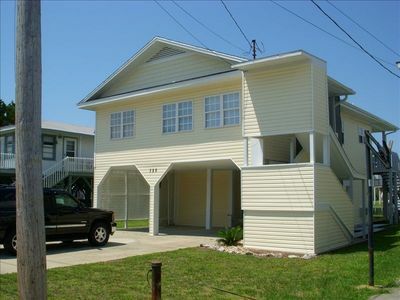 If you are looking for a resort that is close to all the action, this is a perfect fit for you. 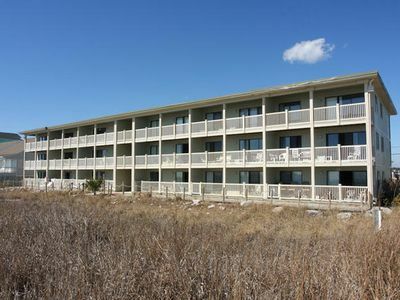 With one bedroom and one bath, the Holiday Inn Pavilion 211 rental condo comfortably sleeps six guests. 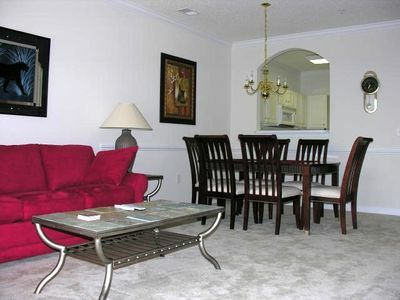 Enjoy all that this relaxing condo has to offer. 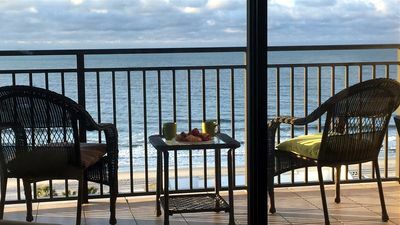 The oceanfront balcony is a perfect spot for breathing in the fresh ocean air and feeling the South Carolina sun on your skin. 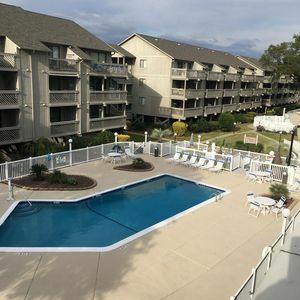 While you will undoubtedly want to spend most of your time outdoors, you also have the option of plugging in to technology at the Holiday Inn Pavilion 211. 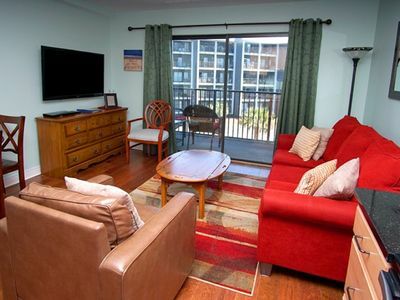 This vacation condo features flat-screen televisions and wireless Internet access. The resort also boasts a variety of unique features that will have your family entertained at all times during your vacation. 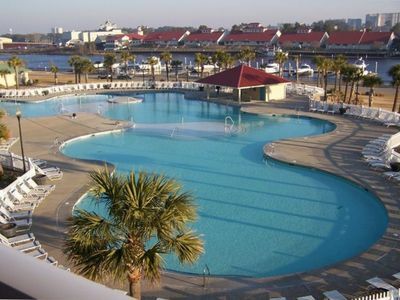 Indoors, the Holiday Inn Pavilion has a swimming pool, lazy river, and hot tub. In addition, the resort has a kiddie pool for the smallest guests. 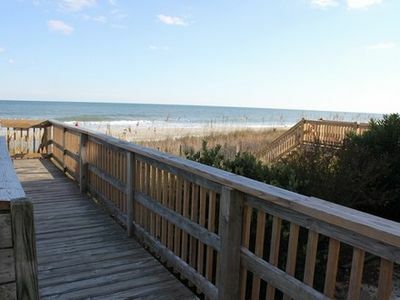 Just steps away, you will arrive at a beautiful stretch of beach. 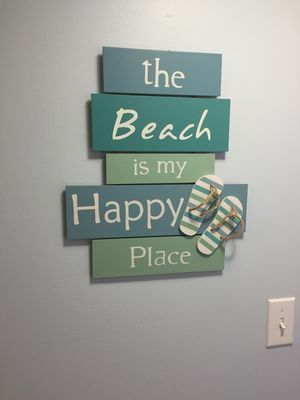 Bring your beach towel, a basket full of sand toys for the kids, and a good book for yourself. Stretch out in the South Carolina sand and feel the warmth of the sunshine. Children will love building sandcastles and collecting shells on this breathtaking section of beach. When you are ready to explore a little more, you will not have to go far! 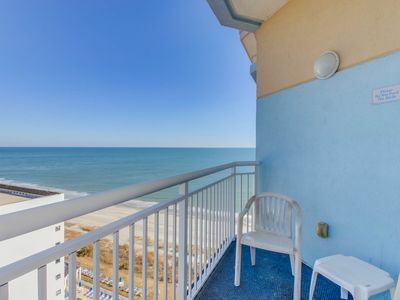 The Myrtle Beach Boardwalk and downtown Myrtle Beach, South Carolina are right at your doorstep. The amazing SkyWheel is adjacent to the resort, and is one of the must-see attractions in the area. 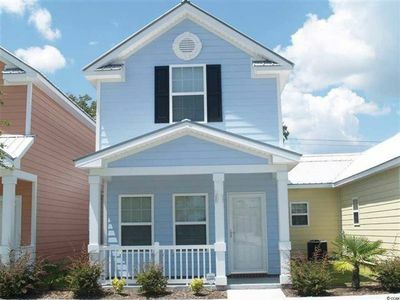 Within a very easy walking distance, you will also find some of the top restaurants in the area. Partake in a fresh and delectable seafood dinner before heading out for a night on the town. This area also has plenty of shopping options, more than 100 golf courses, and a variety of live shows, plays, and musicals. 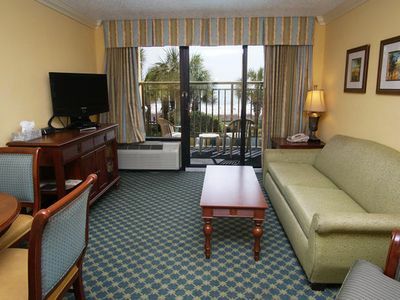 After the day is done, return to your Holiday Inn Pavilion 211 rental condo and fall asleep to the sound of the crashing ocean waves. 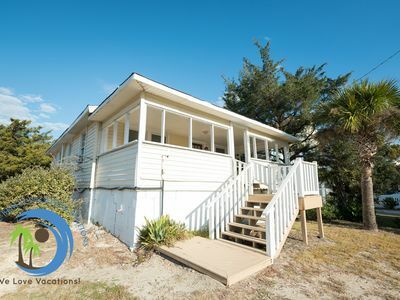 Stunning Beach View Cottage, Beautiful, Cozy & Clean! Discounts!! 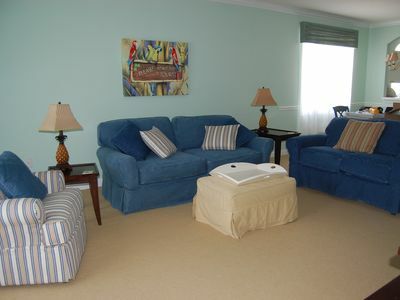 Just Chillin "Direct Oceanfront" Private pool & spa "Great Location"
Beautiful, Spacious, & Affordable 2 BR., 2 BA. Villa. Modern Oceanfront Reno! Fabulous Balcont! Designed For Fun & Comfort!